Heightening the stakes in the criminal justice debate roiling the country at large, Gov. Jerry Brown could soon greenlight a law that would allow some state felons to vote from jail. California has wound up in the middle of the pack on state laws around criminals and voting rights. “Two states, Maine and Vermont, allow felons to vote while behind bars,” KTVU noted, while “14 states restore voting rights automatically when a person is released from prison. 4 states, including California, restore voting rights after completion of parole.” The new rule, if Brown were to sign AB2466, carves out an exception for felons shifted out of state prisons due to realignment. For that reason, advocates of the bill have characterized it as more of a formality than an overhaul of the state’s criminal law. In 2011, the Criminal Justice Realignment Act “created new sentencing categories for low-level, nonviolent offenders to remedy unconstitutionally overcrowded state prisons,” the NAACP’s Janai Nelson noted in the Los Angeles Times. 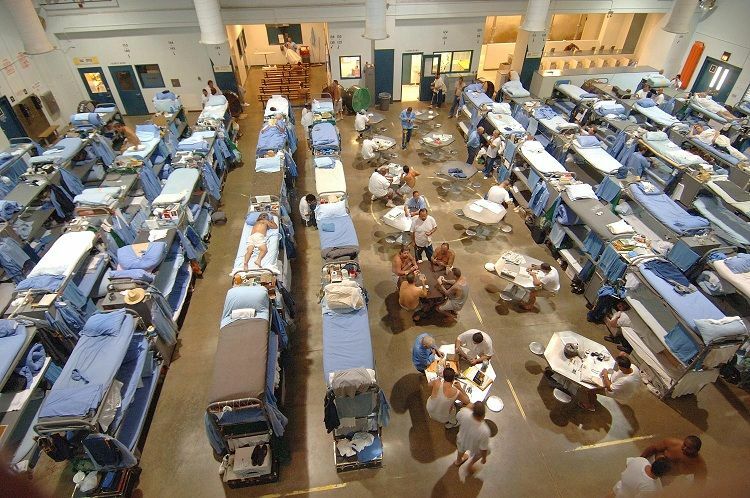 “Instead of time in state prison, minor felony convictions now result in a term in the county jail followed by release under what’s known as mandatory or community supervision.” Given the opportunity to rule on how that changed status squares with voting laws, “Alameda County Superior Court already has held that people subject to this new form of mandatory or community supervision are not ‘on parole’ and therefore retain their right to vote,” Nelson added, claiming AB2466 would simply “codify that ruling” and eliminate any “ambiguity in how a felony conviction affects voter eligibility” in California. But critics have countered that the parole language is not as relevant to a proper interpretation of standing law as other elements of voters’ 1976 addition to the state constitution. “The Legislature shall prohibit improper practices that affect elections and shall provide for the disqualification of electors while mentally incompetent or imprisoned or on parole for the conviction of a felony,” that language ran in full. Although supporters of AB2466 “contend that the word ‘imprisoned’ in the California Constitution refers to a state prison, but not a county jail,” the looser interpretation AB2466 embraces “would create an odd circumstance in which inmates out of prison on parole are prohibited from voting, but felons behind bars in county jails could vote” — a view held by the state Sheriffs’ Association, as legislative director Cory Salzillo suggested to the Daily Signal. Given the low level of the judiciary ruling used as a baseline by AB2466, that could invite further litigation that would effectively freeze or scuttle the legislation before it is implemented.